Closeup of an empty conference room before meeting. 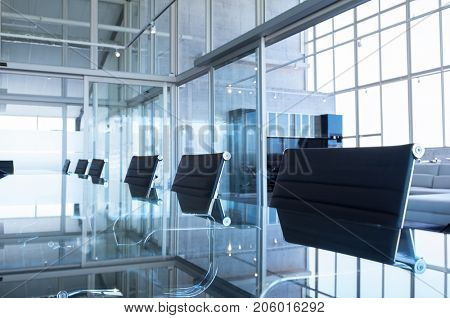 Detail of conference crystal table and black chairs in boardroom. 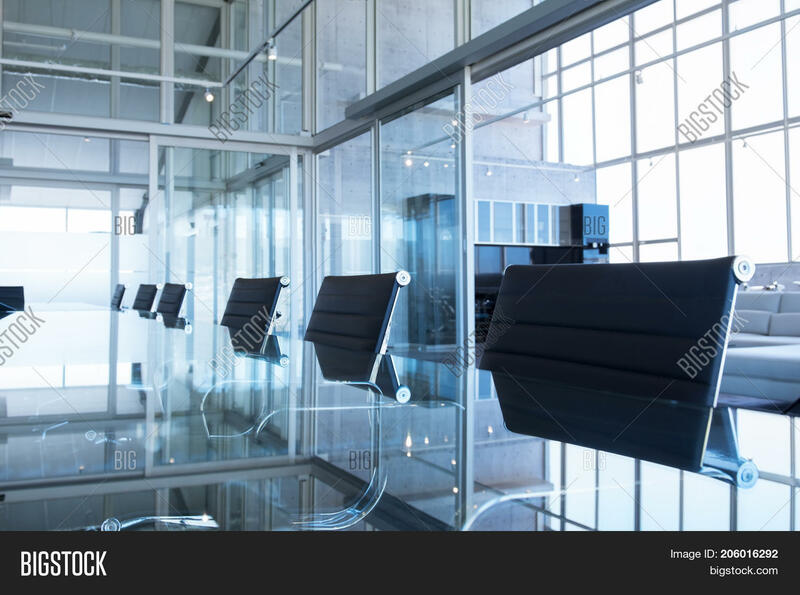 Elegant chairs and modern table in an empty board room in office.